It is hard when your beloved pet gets injured or has to undergo surgery. As a dog parent, you fret and worry about your four-legged friend, especially during the recovery period as some dogs don’t leave their wounds alone, making healing a real challenge. With the right dog cone or Elizabethan collar, you can shorten your dog’s recovery time and ensure that your pet doesn’t cause any damage to its stitches. An e-collar is also necessary for fighting off an infection most especially from excessive licking. So, which e-collar is the best for your pet? Check out our product recommendations below. The soft, flexible material of this e-collar, SunGrow Cute Comfy Cone for Pets, made us choose it as our favorite recovery cone of all time. Its material construction ensures that any dog is as comfortable as it can be while it is healing from surgery or an injury. This is our top pick also because it is resistant to odor, bacteria, scratch, tear, and water, so it is definitely the best option if your dog is prone to making messes regardless of what it is doing. Even if your pet makes a mess while it is eating, the collar will remain clean after you wipe it down. It's also machine-washable! Take note that you can use this e-collar in two different ways: as a lampshade style collar that helps a dog recovery after a procedure or surgery or as a neck brace when it's reversed which is useful when the dog needs upper back or shoulder support. This fabric neck cone for recovering dogs is highly rated on Amazon because of its ability to provide support, comfort, and flexibility. This soft polyester blend e-collar filled with cotton works incredibly well for dogs that won't test a cone's limits. It is also an excellent choice if your dog doesn’t settle down or misbehaves if it’s wearing a hard cone. Another great option is the Original Comfy Cone by All Four Paws, especially for those who are budget conscious. Just like our top pick, this one is a fabric e-collar for dog recovery. What we love about it the most is its nylon padding, which is why it is comfortable for a dog to wear around its neck. Apart from being soft and comfortable, this cone collar is also water resistant, making cleaning very easy. The product comes with a plastic that's removable so if your pet has a sprained or broken neck, you can choose to not remove the plastic to give it structure. If your goal is to keep the dog from scratching or pawing an infected spot that's on its neck and head area, then you can remove the plastic. Basically, you get two medical collars with this product and you only pay for a single cone's price! This e-collar is an excellent choice if you want something that is simple, works as intended and affordable. It features a button system for adjustments. With this e-collar, each adjustment comes with two buttons. Obviously, it's more secure compared to e-collars with one button. This e-collar features an opaque white color with black trimmings. While it's affordable, it doesn't look cheap. The opaque color also allows some visibility and does not entirely block your dog's field of vision. The two-button system allows you to securely lock the e-collar into place. Also, it's challenging to find faults with this one when you consider the price. This e-collar is about 6 to 9 inches in the neck and 5 inches in width. From the dimensions, it's clearly designed for small dogs and puppies. Another thing that’s worth mentioning is the soft collar area. Having a soft collar is beneficial for your dog as it minimizes the stress during the recovery time. This e-collar is manufactured from lightweight PVC. Such a feature is significant for small dogs or puppies as they don't have a lot of strength and heavier e-collars may become a cause for too much stress. This e-collar is specially designed for small puppies and dogs, which means it has a clear purpose or use. The padded collar and lightweight material make it very suitable for your small dog or puppy. If you want an e-collar with plenty of padding, then this one is an excellent candidate. Having ample amounts of padding is always a good thing as you'd want your dog to stay as comfortable as possible during the recovery period. This e-collar is also lightweight and features a see-through design. You have plenty of options when it comes to size adjustments. This allows you to find that better fit for your dog. The adjustment locks are plentiful, which is something that's very nice as it allows you to have a better fit. It also has a lightweight design. The first thing that's noticeable with this e-collar is the unique design. It features an alternating gray and white color, which is different from the more common all-opaque design. This e-collar makes use of Velcro for the adjustments. This is a lot better than fixed buttons as it’s easier to get that perfect fit for your dog. The Velcro locking system is perhaps the best thing about this e-collar. The unique design is also a bonus. Furthermore, this e-collar is also a product of 12 years of veterinary use. The first thing that's worth mentioning about this e-collar is the use of high-quality PVC. Such kind of feature is very much welcomed as it extends the use of the e-collar, especially if you have an energetic dog. It also features soft edges to ensure that it won't cause inconvenience for your dog and minimizes the damages caused to furniture. The white color and the trimmings give off a clean and sophisticated vibe. The stylish clean and sophisticated design makes it a desirable choice. Also, the padding on the edges is both an aesthetic and functional feature. This dog collar is different in many ways. For one, it's an inflatable which allows this e-collar to be stored easily. It's also a very comfortable e-collar as the entire surface is covered in soft and smooth fabric. Keep in mind that you can easily remove the fabric and wash it in case it gets filthy. Another thing that's worth mentioning is that this e-collar barely blocks the vision of your dog. The thing we like most about this e-collar is that it provides the most comfort for your dog thanks to its soft fabric covering. Easy storage also makes it an excellent choice if you have limited space. If you are looking for a very affordable option, then this e-collar may be the right one for you. It's crafted from a combination of flannel and plastic. It also features polka dots design, which makes it a stylish choice. The locking mechanism makes use of Velcro, and that means it offers better fit adjustments. The soft neck area indicates that it will be comfortable for your dog. The combination of flannel, plastic and polka dots makes it visually appealing. Furthermore, it features a durable build. However, the beauty of this e-collar is that you are getting all that for a relatively low price. Hence, it's hard to make a mistake if you choose this one. 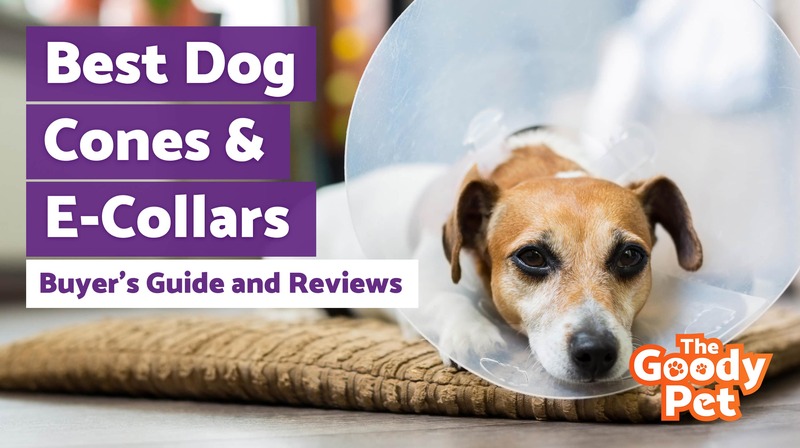 There are dog parents that dread the idea of the Elizabethan collar (e-collar), but it shouldn't be confused with the infamous electric shock collar, as an e-collar simply encircles a dog's head to create a protective barrier. This barrier is meant to stop the animal from licking or biting its wound, lesion, or incision site. It also protects head lesions as well as the eyes and ears. As you know by now from our list of the top dog cones and e-collars above, there are different varieties of the cone from clear or shaded plastic to fabric ones. Some have pre-cut sizes that snap together while others can be custom fitted using Velcro strips. Take note that a cone that has a good fit is snug around a dog's neck. It’s loose enough that it gets one or two of your fingers in between the neck and the collar, but also tight enough that your dog can't remove its e-collar. Any hard edges shouldn't apply pressure to a dog's neck. It should also extend up to the tip of the animal's nose, depending on the part of the dog's body that needs protection. For instance, a wound that’s near the tip of the tail may need a long cone so the animal can't access the area with its mouth. For a head wound or lesion, the cone will protect the eyes, ears, and entire face from being pawed or scratched. It will also deter a dog from rubbing its face against surfaces like the floor, walls, and your furniture; therefore, the cone can be slightly shorter. It’s important for you to understand that a dog cone is not a torture device or a tool for punishment. Instead, it's a protective device that's extremely necessary. An animal may object to its use at first. It may even use passive measures like hanging its head down or smashing its gigantic head into walls or furniture. There are dogs that pretend that they can't drink or eat with cones on. Be strong as these are just theatrics! Little Fido is merely trying to manipulate you or make you feel guilty. When your dog has to recover, it needs "tough love." The cone MUST stay on until it's fully healed or when sutures are removed. Have you decided on a specific product already? Maybe you're torn between two excellent options. This section of the article will help you narrow your choices further. This type of cone is the most common. Vets often have this type given for free after surgeries. It is great if the affected site is on the animal's head as this style offers a bigger "protection area", so it makes it hard for a dog to scratch its wound. It is also great for a dog with ear hematoma as it prevents blood from splattering if it opens up. This type is easy to clean, but it also has its downside. It’s not the most comfortable option for a dog. The second type of e-collar is one that has a fabric construction. It bends easier so a dog can easily lie down, eat, and move around with it. There are styles that come with a Velcro and drawstring to make size adjustments better and easier compared to traditional cones. However, if the material is not water-resistant, a fabric cone can be difficult to clean. This one looks like a donut or cushion. It’s like the fabric type as it’s comfortable and makes it easy for a dog to get around. For a brachycephalic dog, it is easier to wear and harder for it to take off. However, if your dog has a tail injury, it can reach its tail with the cone on. A lot of dogs throw up after having surgery or getting injured. There may also be accidents, especially if the dog is on some sort of medication. By having a collar that is easy to clean, you will be able to prevent messes. Most importantly, you can avoid foul smells and infections. There are collars that come with outside covers which come off for quick and easy cleaning. Whatever medical collar you choose, make sure that it can be wiped down or it's machine-washable. Most e-collars can be used for several sizes of dogs. Still, it is a good idea if you purchase the dog e-collar that has the perfect fit for your dog or your canine will manage to take off its collar on its own. If you get the wrong size, your dog may also hurt its stitches or wound accidentally. Some collars connect to the usual collar of dogs, which helps a lot in fitting more accurately. This might seem to you as counter-intuitive as you want a collar to keep your dog from biting and licking its wound; however, you don't want the medical collar to restrict the animal from sleeping, eating, and drinking. After injury or surgery, the dog must eat, drink, and sleep as much as it possibly can. The collar that lets it do all these things without strain is what we highly recommend. One of the reasons why we made sure that we listed all the reliable dog cones and e-collars currently available in the market is because not all cones offer a canine comfort, which is absolutely necessary. Your dog is in pain or at least uncomfortable after sustaining an injury, which means ensuring its comfort while it’s recovering will go a long way. Your dog will wear its collar for days or even weeks. If your pet has a nasty rash or wound or it tends to pick and lick in general, then it has to wear the cone for even longer. You want your purchase to last long which is why it’s necessary for you to get a durable collar. The products we listed above are all long-lasting and will prevent your dog from destroying or ripping its collar. 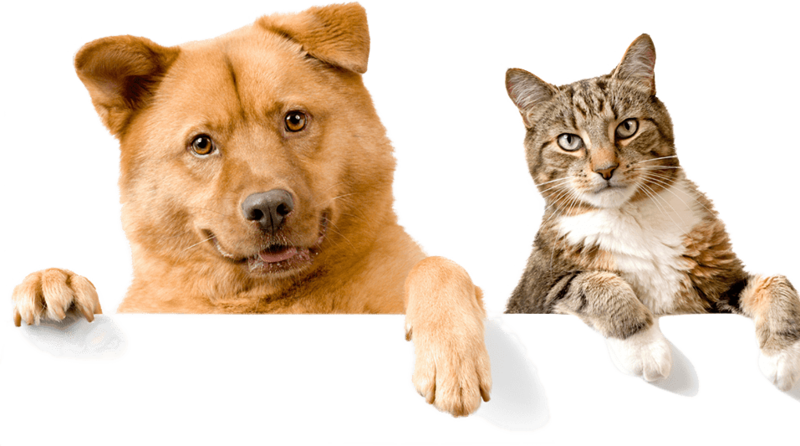 The last thing that you want to see when you come home is your pet hurting itself because its medical collar has broken down or got ripped into pieces. To get a collar that you can rely on completely, choose any of our picks or check customer reviews. Your dog doesn't have to wear its e-collar forever. As soon as it has healed, you would want to store the collar away in case you need it later. A collar that can be rolled or deflated (for an inflatable collar) is easier to store compared to the ones that are bulky. After reviewing most of the available medical Elizabethan collars sold online, we can truly say that SunGrow Cute Comfy Cone for Dogs is the best option. It's comfortable, scratch and bite-resistant among other things. The collar doesn't affect the ability of the dog to play, sleep, eat, and drink.